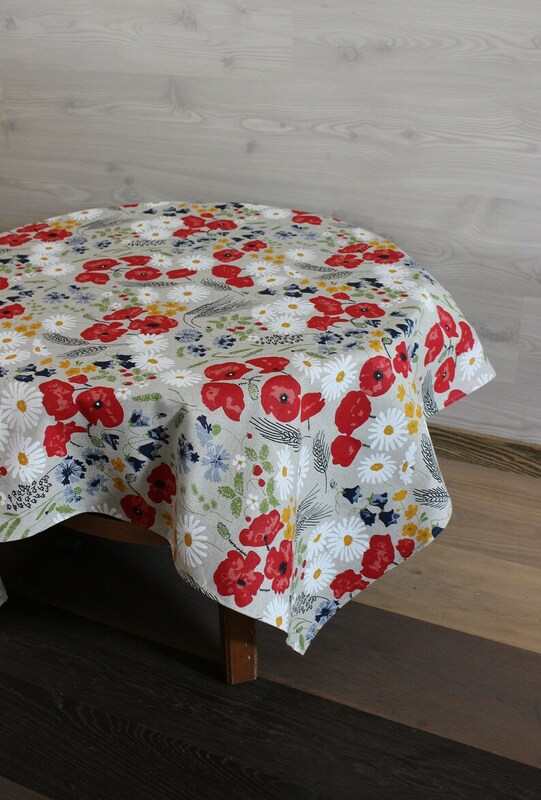 Tablecloth with Meadow Flowers, Round tablecloth with Poppy, custom size linen tablecloth summer flowers print, cottage or villa tablecloth. 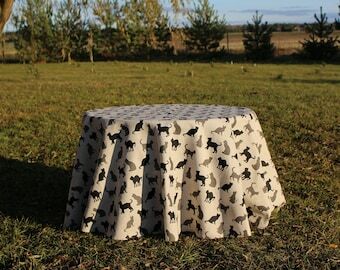 Tablecloth is made from original Lithuanian linen fabric. 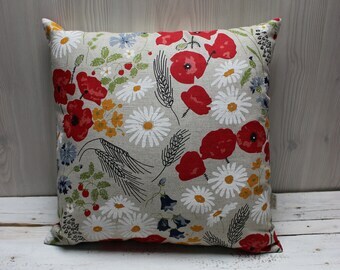 Materials: 55% linen, 45% cotton. 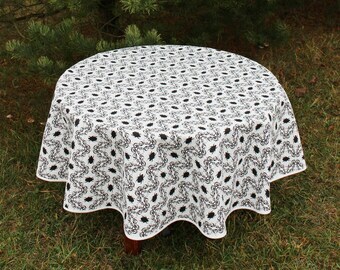 Please to contact me if you would like to have other size of this nice pattern tablecloth. 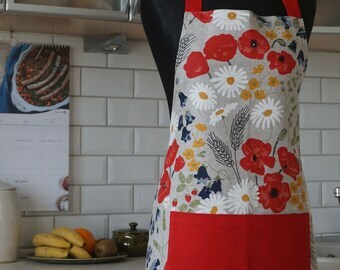 Sewn in Lithuania by me. Care: machine washable. 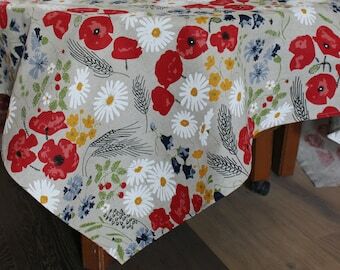 Ironing the reverse side only.